Ep. 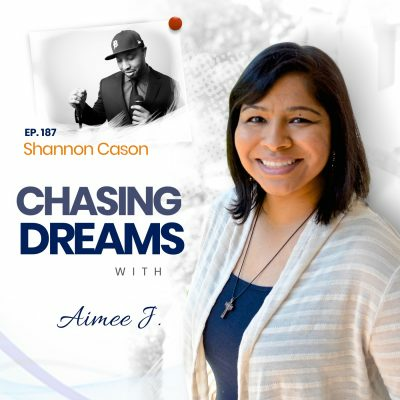 153: Aimee J. 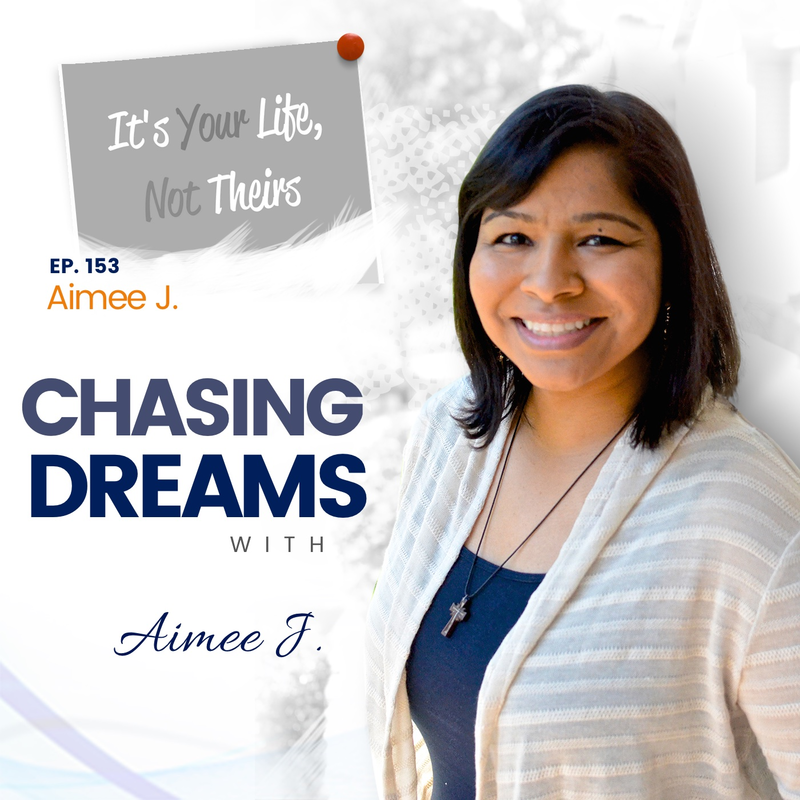 – It’s Your Life Not Their Life | Aimee J. 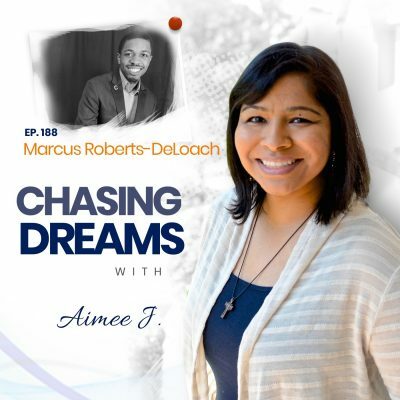 How is your dream-chase going? For me, I’m taking some time this month to put significant focus on my personal dream-chasing efforts. I’m taking Nicole Walters’ $1K in 1 Day Academy course, so this is a time for me to work on the course, along with preparing better resources and products for you, the listener. I’m always looking for new and improved ways to inspire, empower, and equip you to chase your dreams. There will be no guest interviews for August, but those will return in September; meanwhile, we’ll cover some great topics with a few solo episodes that you won’t want to miss! Have you ever written a letter to yourself? If you haven’t, I highly recommend it, because it’s something I’ve been practicing. It’s teaching me that I am important and my story is important. Even as identical twins, my sister and I are NOT the same people. When she was born 15 minutes before me, my parents thought she was the only baby. They didn’t know we were twins and that I would be joining the family just a few minutes later! The differences began immediately at birth. We have similar interests but had very different experiences as we grew up. Factors like race, gender, sexual orientation, and religion all work to shape us into who we are and tell us how we see things, but between any two people there are subtle (and some not so subtle) differences. How far does your influence and impact go? The answer is that you just never know. Your story may be shared with someone and serve to impact and influence them in ways in which you aren’t aware. You might be blown away if you did know how many people hear your story and are impacted by it. That’s a good reason for podcasting, as it shares the story of person after person, especially in how they live and chase their dreams. We each need to fulfill the purpose we were put on the earth to do, and we accomplish that by trying new things and figuring out what we love. [:30] How is your dream-chase going? [16:54] Who is in control?